The New York Police Department will begin equipping all of its officers with smartphones and outfitting many police cars with tablet computers in an effort to modernize the nation’s largest police force, the Manhattan district attorney’s office announced on Thursday. The program, the N.Y.P.D. Mobility Initiative, will distribute 41,000 devices across the department; each of its 35,000 officers will receive a hand-held device, and 6,000 “ruggedized” tablets will be installed in police cars, a statement from the district attorney’s office said. The initiative, which will cost $160 million over the next three years, is being paid for by forfeitures from a settlement with BNP Paribas, a French bank. The settlement, which required BNP to pay $8.83 billion to the United States for violating financial sanctions, gave $448.7 million to the district attorney’s office and $447 million to New York City. The district attorney’s office will contribute $90 million to the program, and the city will provide the remaining $70 million. Each device will hold several applications, such as a mobile version of the Domain Awareness System, a computer surveillance system that joins video feeds from thousands of closed-circuit cameras to law enforcement databases, allowing them to track and gather information about criminals and possible terrorists. The devices will also ensure access to relevant 911 data, including notes by call-takers and information about the location of the call, the statement from the district attorney’s office said. The office is looking into adding GPS features to the devices, it said, which could help in coordinating backup. The program also anticipates adding the capability to scan fingerprints in the field, sometime next year. 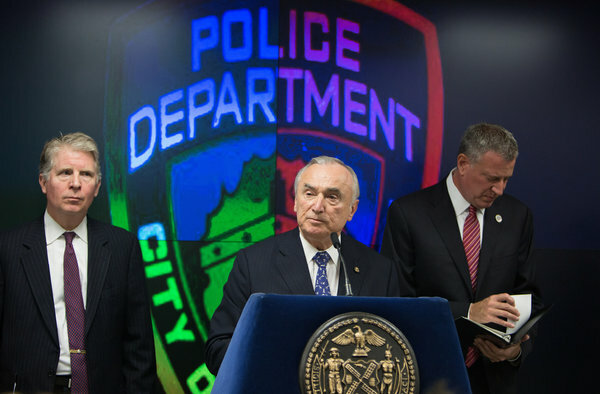 The announcement came weeks after the police department began a pilot program to equip some officers with body cameras, an independent initiative by Commissioner William J. Bratton, which had also been ordered by a federal court as a way to evaluate the effectiveness of cameras in preventing unconstitutional stop-and-frisk tactics. 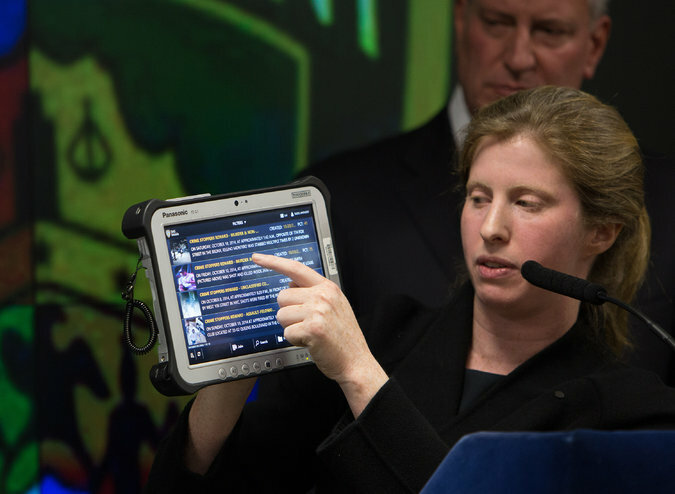 Though New York has the nation’s largest police force, other forces in major metropolitan areas have already taken steps to update the patrol beat for the digital age. In the Los Angeles Police Department, each of that city’s 21 geographic regions has two social media coordinators, who post to Twitter and Facebook about crime and public safety incidents, a spokesman for the department said. Los Angeles has also begun to roll out a program, the one upon which the New York initiative was modeled, to outfit officers with body cameras. All officers will receive them over the next year and a half. There is scant research on the effects of cameras on community policing, but a police spokesman from Los Angeles said, anecdotally, that reviewing footage had already helped solve disputes between officers and members of the community. The body cameras could provide visual evidence when disputes arise between the police and the public over the unfolding of events. The chorus of voices asking for them has grown, after a summer in which the twin issues of police brutality and police accountability have captured national attention, from Eric Garner’s death on Staten Island to theMichael Brown case in Ferguson, Mo. The statement released by the district attorney’s office emphasized the effects the program would have on fairness in the criminal justice system, and seemed to suggest that the new devices would help ensure that the right people are charged for their crimes. However, Eugene O’Donnell, a professor at John Jay College of Criminal Justice and a former prosecutor in Brooklyn and Queens, said, “I don’t see this as a game changer for prosecution, but I do think it could be transformative to policing,” by providing officers with updated referral information to other city agencies, and access to databases that contain information about prior arrests or active orders of protection.